I put a bunch of this stuff up for sale a few years ago but didn't follow up much -- I really need to get rid of this stuff now as it's just sitting around doing nothing. Piccadilly Circus during the weekday; maybe further west during the evening. Dura Ace 7402, including: brakes (BR-7403), seatpost (SP-7400-B, 27.2mm), brifters (ST-7400, the first STIs! 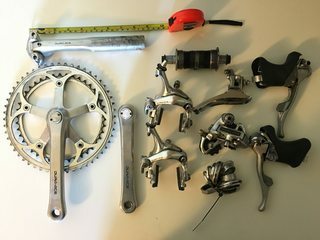 ), front mech (FD-7403), rear mech (RD-7402, 8 speed), crankset (FC-7402, with 52/42 chainrings), bottom bracket (BB-7400, italian), headset (HP-7400), wheelset (FH-7402 & HB-7402 laced to Mavic Open 4 CD rims), cassette (11-23). 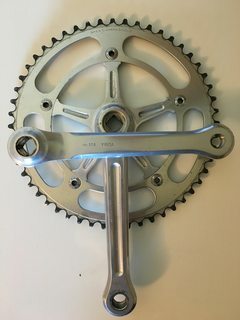 I'm always amazed at how well it works—when it's set up properly it shifts as well as my SRAM set. 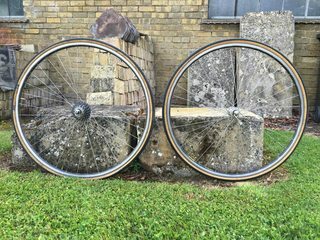 Great condition and looks superb. 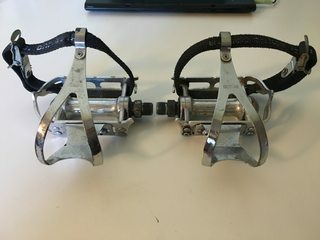 I had them on my Merckx pista. The front has a brake surface which I taped up with electrical tape once I removed my front brake. 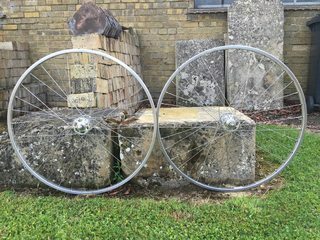 Comes with some Vittoria Rubino Pro 23c tyres. Great condition. 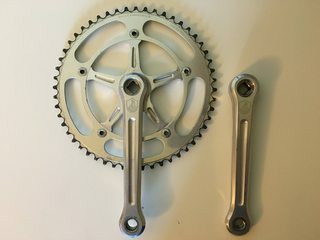 Comes with a 52t 3/32" ring and Campagnolo chainring bolts. RHS is great condition. LHS has a few scuffs. 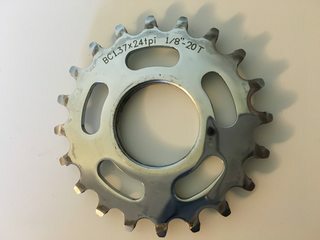 Comes with Campagnolo chainring bolts. Only about 50 miles done on this. 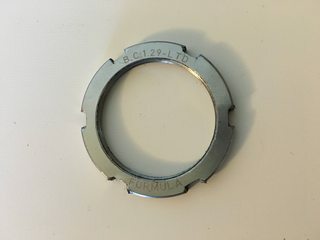 Not sure who made this but it's useful as it can fit loads of BB shells having lockring-esque cups. 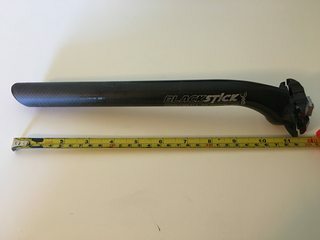 Nice carbon seatpost with some marks below minimum insertion point. The logos still look good. 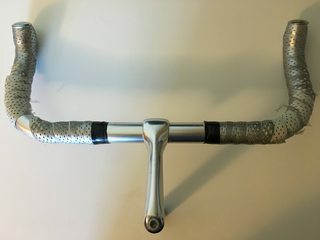 Used and scruffed but still turning smoothly. Used and missing dust caps but smooth. 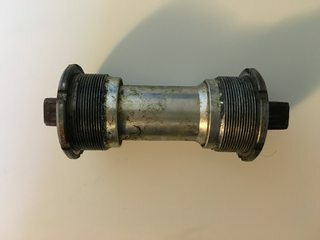 what's the length of the 3t stem please? I'll measure and get back to you. 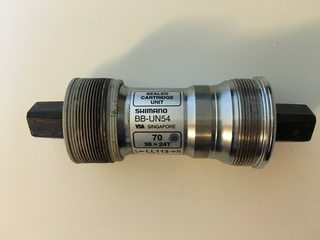 Would you split the DA seatpost? 2nd dibs Phil cog if it's not gone? 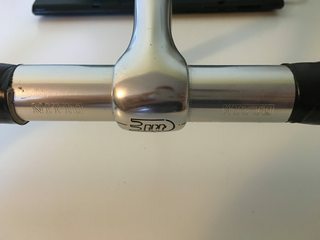 I'm still interested in the 3t stem.